Club Penguin Cheats by Mimo777 Club Penguin Cheats by Mimo777: Reviewed By You: Ninja Training! I would like to have a robot with UNLIMITED strength, health, smartness and Herbert trackers! A Super Sense hearing for HELP!!! Cries! A arm that can lift up the WHOLE island! X-ray eyes and super speed and a jetpack to fly! This would be the perfect robot! 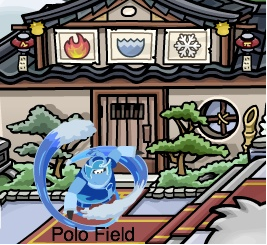 For this weeks RBY question, we all know Card-Jitsu Fire and Water is now opened up to all players. So what CP wants you to do, they want all ninjas to be in top form for the battle ahead. So go to the Ninja Hideout to train, earn rewards. And then tell them, what's your favorite part about being a ninja? Let me know why you think being a ninja is so awesome! new ninjas don't get any amulet, do they? after I become a snow ninja, i'll still be able to wear my amulet and dance right? how come newer non amulet ninjas don't get gems, nor do they require an amulet? this is all very strange. I will get the snow gem right? where can my cousin buy an amulet from? does sensei hand them out nowdays? Hopeful member of the Herbert and Ninja alliance for CP conquest or HNAFCPC the alliance. will Sensei join the Herbert corps?